Welcome to Against All Odds: AFC/NFC Championships! From the opening weekend of the NCAA football season through Super Bowl LII, Mike Drakulich (PSN), the man behind Pittsburgh SportsNation, takes on his father, Michael J. Drakulich (MJD), in picking NCAA and NFL games against the Vegas spread. Mike Drakulich covers both the Pittsburgh Steelers and Pitt Panthers during the season for NGSCSports.com! To appease the taste buds of Pittsburgh’s local coverage area, Pitt, Penn State, and West Virginia, when they are playing, will always be on the docket among the NCAA games chosen, as will the Pittsburgh Steelers for NFL games. Once Bowl Season arrives, we’ll bring you EVERY Bowl Game and then continue throughout the conclusion of the NFL Playoffs. Itchy vs Scratchy. Black Spy vs White Spy. Cheers vs Gary’s Old Towne Tavern. History is full of rivalries, but none are better than father vs son! Who will rise above the other this season and become the 2018-19 Against All Odds Champion? We’ve reached the second to last Against All Odds of the 2018-19 season… the NFC and AFC Championships are upon us, and it should be one helluva Sunday for football. Last week, both my dad and I sucked it up, going 1-3 for the week. For the year, dad is 95-84 and has me beat by eight games. He has already clinched the Against All Odds Championship. If both teams play to their potential, boy are we in for a treat. Each team features a potent offense and an opportunistic defense. In games like these, usually the best quarterback guides their team to the win. Drew Brees is one of the best ever, and he is at home, where the Saints are nearly unbeatable. Jared Goff is the next wave of star-to-be quarterbacks, but this will be a game in which he will be tested in every way to achieve that status. I actually do like New Orleans to win this game, but it will be by less than the spot, if not by a game winning FG at the end of the game or in OT. As good as the first game might be, the nightcap may be even better. It’s the young sensation in Patrick Mahomes vs Tom Brady. Kansas City is in a good position here, especially if they play the type of defense they displayed last week vs the Colts. New England is good, but they aren’t what they used to be. 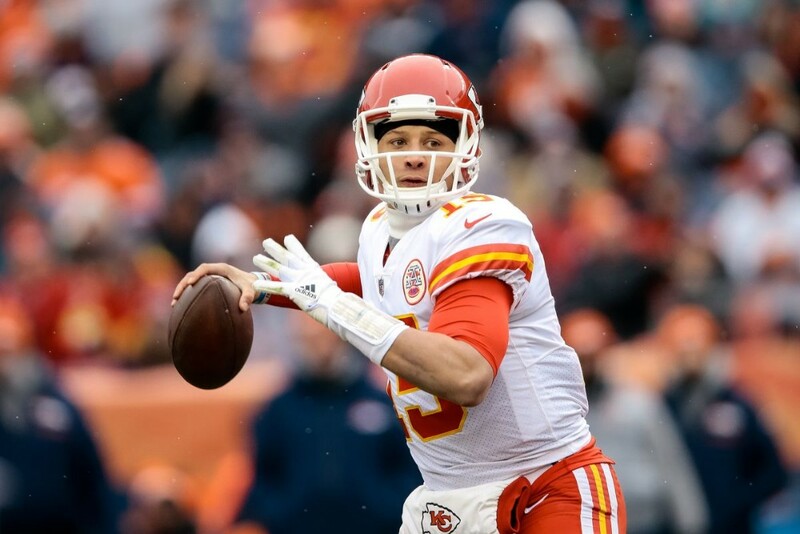 If the Chiefs lose this game, it will because they either turned the ball over due to a nervous Mahomes in the biggest game of his life, or if they’re dumb enough to play zone and let Brady pick them apart. If they play as they have all season, they will be headed to the Super Bowl to face the Saints.